Summer is coming to the Northern Hemisphere. And while that means barbecues, beach days and time outdoors for many, it could also mean permanently damaged iPhones. Most of us probably know that heat isn’t great for computer systems. Most larger computers have a fan to try and mitigate some of the effects of overheating, but iPhones don’t. 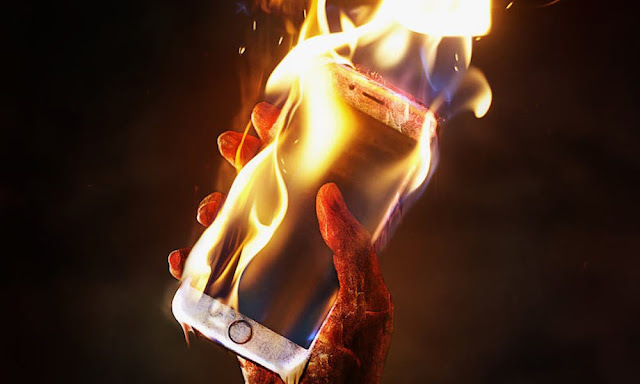 And while Apple’s handsets are designed to protect themselves against and warn users about dangerous temperature changes, problems can still occur in particularly hot environments. Here’s everything you need to know about keeping your iPhone safe in the heat. In most cases, iPhones can generally recover from overheating without any permanent issues. When an iPhone gets too hot, it’ll automatically enter a “cool down” mode and will give its user a temperature warning. But extreme temperatures or prolonged exposure to heat can have lasting effects on your Apple handset — so it’s smart to be cautious. Apple itself notes that low or high-temperature conditions could cause your iPhone to “change its behavior.” Its recommended ambient temperature for iOS device usage is between 0º and 35º C (32º to 95º F). Of course, it can become much hotter than that upper range in many parts of the world, or in enclosed spaces like the interior of a vehicle. Heat can wreak havoc on lithium-ion batteries, causing a variety of issues like internal fluid evaporation, voltage component damage, or chemical reactions with the internal structure of the battery. And that might be a best-case scenario. While lithium-ion batteries are generally safe, they can quickly become dangerous if damaged or significantly overheated. Don’t leave your iPhone directly in the sun for extended lengths of time. Even on relatively cool days, direct sunlight can affect your iPhone’s internal temperature. Don’t leave an iPhone in the car on hot days. We all know how hot enclosed cars can get on summer days — don’t leave your pricey handset in one. Be mindful where you keep your iPhone. Confined spaces like pockets can reduce your iPhone’s ability to cool off. It might also be smart to remove any external iPhone case if your iPhone is running warm. Consider foregoing intensive apps. Apps like video editors or graphically demanding games can cause your iPhone to heat up. That could pose a problem if it’s already in a hot environment. Turn on Wi-Fi or enable Airplane Mode. Your device will get warmer if it’s relying on cellular data to connect to the internet. GPS can also be a contributor to increasing device temperatures, so try not to use any location- or navigation-based apps. If you get a temperature warning, leave your device alone. Your iPhone will automatically enter “cool down” mode if it gets too hot. You can facilitate this by keeping it out of the heat and refraining from using it. But don’t put your device in the fridge or freezer. Rapid temperature changes can cause more issues with your device — including permanent damage.